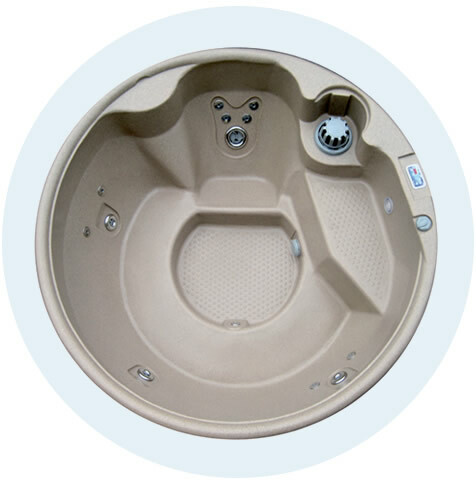 The well priced 5 seater OrbisSpa from RotoSpa is a superb hot tub that is made in the UK. With a manfuacturers warranty and the benefit of being made in the UK, the OrbisSpa offers you a low price entry level spa that benefits from being portable and is easy to move to different locations. Available in a range of interior colours and additional options such as mood lighting and chrome jets, the OrbisSpa really does fill a need in the market and fits all budgets. Benefitting from exceptional value for money build quality, the spa features a high powered capatains seat and also has other great massage jets with seating for up to 5 adults. Call Bay Spas now to order your fantastically priced 5 seater hot tub in Devon, Cornwall and Somerset. Top access cartridge pressure filter 50 Sq Ft.
Digital touch pad allows you to control the temperature, demand more heating and maintenance cycles.